Around the world people are celebrating June as Men’s Health Month. Today is also the start of Men’s Health Week, a special awareness period recognized by Congress, which ends on Father’s Day, June 19. 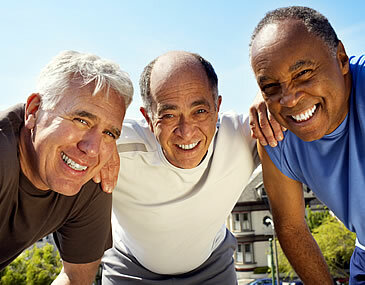 Men’s Health Month is built on the pillars of Awareness–Prevention–Education–Family. Men’s Health Month is credited with the increase in wellness activities for boys and men in all areas of the public and private sectors, resulting in better health outcomes and longer life expectancy. During this time, health care professionals, private corporations, faith-based organizations, government agencies, and other interested groups plan activities that focus on the health and well-being of boys, men, and their families. Mayors and governors across the country recognize June as Men’s Health Month with official proclamations. The proclamations are displayed in Congress and reports on the status of the health and wellbeing on boys and men in each state are available at the State of Men’s Health web site. Free resources are available in both English and Spanish at www.menshealthmonth.com . Congress joins the celebration with a Congressional Workout, planned for June 22.